02.09.18 10:24 Transfer Sent Payment: 60.00 USD to account U18015928 from U1294xxx. Batch: 226948463. Memo: Shopping Cart Payment. Deposit to visimifinance.com User allhyips. The amount of 0.55 USD has been deposited to your account. Accounts: U18015928->U5677***. Memo: API Payment. Withdraw to heatstreak from visimifinance.. Date: 12:02 28.01.19. Batch: 244180762. The amount of 0.55 USD has been deposited to your account. Accounts: U18015928->U5677***. Memo: API Payment. 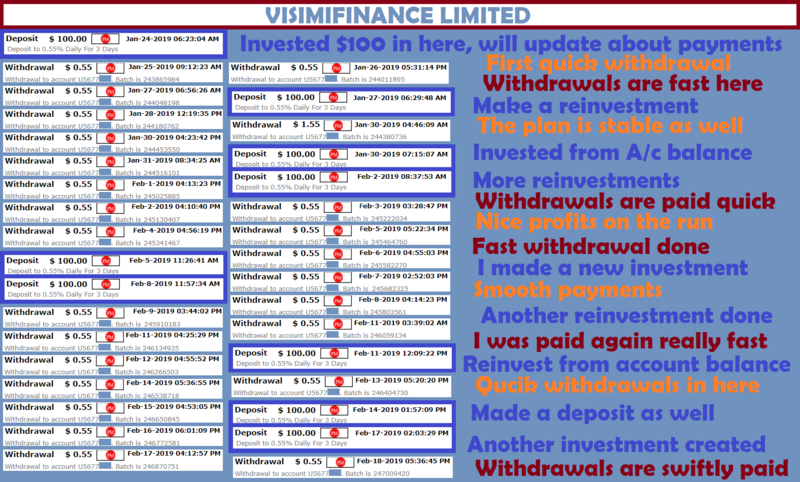 Withdraw to heatstreak from visimifinance.. Date: 16:06 30.01.19. Batch: 244453550. The amount of 0.55 USD has been deposited to your account. Accounts: U18015928->U5677***. Memo: API Payment. 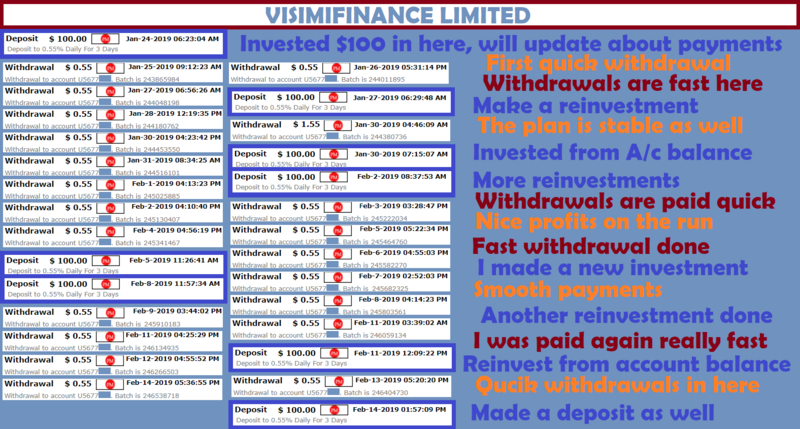 Withdraw to heatstreak from visimifinance.. Date: 14:34 07.02.19. Batch: 245682325. The amount of 0.55 USD has been deposited to your account. Accounts: U18015928->U5677***. Memo: API Payment. Withdraw to heatstreak from visimifinance.. Date: 16:38 12.02.19. Batch: 246266503. The amount of 0.55 USD has been deposited to your account. Accounts: U18015928->U5677***. Memo: API Payment. Withdraw to heatstreak from visimifinance.. Date: 16:35 15.02.19. Batch: 246650845. The amount of 0.55 USD has been deposited to your account. Accounts: U18015928->U5677***. Memo: API Payment. 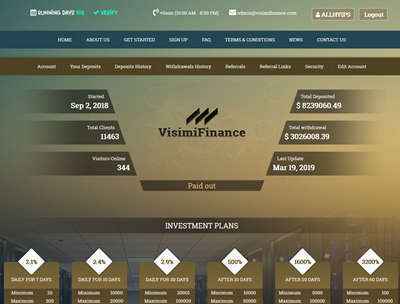 Withdraw to heatstreak from visimifinance.. Date: 17:18 18.02.19. Batch: 247009420.